Big magic is one of those books you read topically on a daily basis until every important a quote/advice sticks. This is not your regular self-help book. 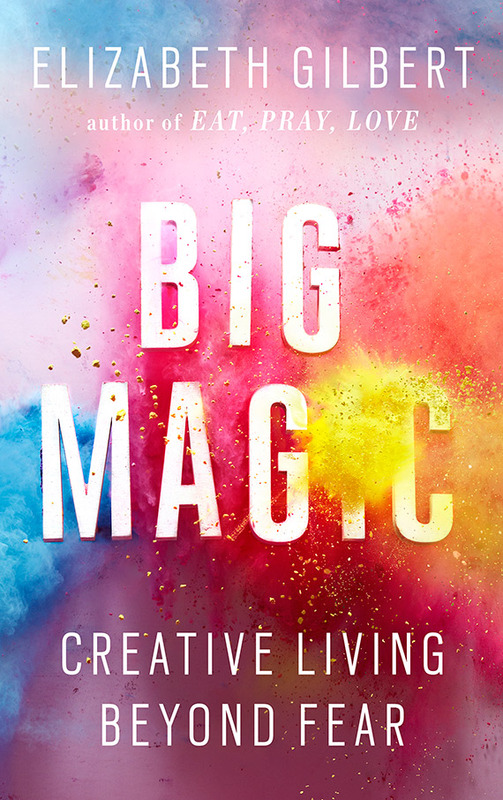 Other than Stephen King’s On Writing, Big Magic is another refreshingly honest discussion about the creative process and arts in general. I’ve been a huge fan of Elizabeth Gilbert and her work since the days of Eat, Pray, Love and Committed and I’ve followed her closely on social media. So, when she announced the release of her new book earlier in the year, I was excited. Big Magic was released in September and I knew I wasn’t gonna have access to it until later. Still, I had hope. A few weeks ago, I accidentally joined Audible and used my first credit to purchase Big Magic. Still I wasn’t satisfied. I needed the book in whatever readable format to enjoy it. Well, what can I say? God provided a way through Afoma with the transcribed version. I was over the moon and got into it without wasting time. The first thing I do when I want to read a book for the first time is to check the number of pages. That way I could divide the pages by the number of days I want to read it. For instance, if it’s a 200 page book. I could read it in two days. That’s 100 pages in day. I give myself that deadline and work towards it. Usually, I meet it but sometimes, I falter. So, when I checked Big Magic, it was 119 pages on my tab. Ah! I could finish this book in two days easily. But then, I started and then stopped. There was too much information, I had to read them in doses in order to fully absorb the contents. I was done in four days but I knew I wasn’t done with the book just yet hence the quote above. That’s how brilliant this book is. As usual, I was not disappointed. Instead, I was super changed with confidence and adrenaline, I could almost start writing my first manuscript. Then again, let’s not get ahead of ourselves. After reading Big Magic, a few things have been established. – I am not guaranteed success in this field. In fact no one is and the world doesn’t owe me anything! – I might need to find a mentor. – Passion is not enough and can only take me so far. I need to be curious enough to sustain my passion. – I do not have to be a “Tormented Artist” to create. I do not necessarily have to inflict pain on myself to evoke certain emotions. I could be as tranquil and stable and happy as possible and still create. – I might need to delve into a few other things here and there to find inspiration. – It’s totally okay to be afraid but I need to deal it so it doesn’t rule my life. That being said, these are some of my favorite quotes. There are so many, it’s incredible. “I think perfectionism is just a high-end, haute couture version of fear”. “I think perfectionism is just fear in fancy shoes and a mink coat, pretending to be elegant when actually it’s just terrified. In the meantime, I’m so happy I can finally read again after about four months of mental exhaustion. Yay to getting your reading mojo back! Could you email it to me? I really liked Eat, Pray, Love. This book is so good! I enjoyed it so much and it pushes you to want to write! This is a lovely review.